I Fagiolini’s Leonardo: Shaping the Invisible - more can be found at www.ifagiolini.com/leonardo. I Fagiolini’s new album ‘Leonardo – Shaping the Invisible’ (on CORO - COR16171), and some extra tracks and films can be purchased through Apple Music’s own #daVinci500 room at www.applemusic.com/davinci500 (from 6 April). Proud to be giving this Marketing & PR Lecture @KingsPlace at the 2018 International Guitar Festival. Proud to have secured this super item on the ITV Ten O Clock News for Patrick Hawes’ Great War Symphony. Countdown to the world première of Patrick Hawes’ monumental work, The Great War Symphony, which is already No1 in the Official Classical Charts. A super cover feature in The Times to launch Cheltenham Music Festival 2018. A clean sweep of cover features in the music magazines for The King's Singers and Alamire during December and January. Very proud PR. Clients on the telly - can't beat it. Alamire's David Skinner on BBC Breakfast TV on 14 April 2017. Lots of choirs for 2017/18. The King's Singers are back - I am delighted to be working with this fantastic group again for its 50th Annivesary in 2018 - and Tenebrae joins the client roster too for 2017. 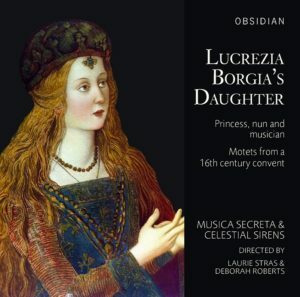 ORA has an eagerly anticipated new CD and Musica Secreta brings out Lucrezia Borgia's Daughter. Brecon Baroque Festival 2016 - a Box Office sell-out and artistic game-changer. The "insanely talented" Joby Burgess embarks on Pioneers of Percussion, his solo programme which tours the UK in 2016 and 2017. ORA is born at The Tower of London - no fewer than 18 press there for the launch concerts. A brilliant weekend of press coverage for my super clients - a front cover feature in the autumn 2015 edition of Early Music Today for The Society of Strange and Ancient Instruments and two features inside for Brecon Baroque Festival and Brighton Early Music Festival; BBC Radio 4's Front Row for Alamire and a lovely Telegraph Review feature from Ivan Hewett. All in a week's work. Just a little bit excited about this - a live stream of I Fagiolini's Betrayal with The Guardian on Friday night (15 May). New client on the block - Brighton Early Music Festival 2015 - whoo hoo! I am thrilled to be working with I Fagiolini in 2015 for the group's new project - a polyphonic crime drama called Betrayal. I'm launched The Spy's Choirbook (Obsidian Records) in September 2014. There were features and news stories in The Daily Telegraph, BBC Radio 4's The World at One and Midweek, BBC Radio 3's Breakfast, The Choir and In Tune. In October, it was named Amazon's No 1 Bestseller. In December it was named The Times' Classical Recording of the Year and in January 2015, it's Editor's Choice in Gramophone Magazine - the power of good music and, dare I say it, good PR. 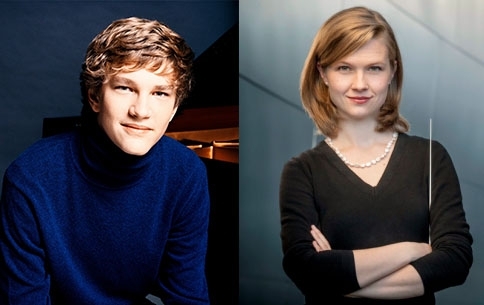 I am thrilled to be working with the one-and-only Thomas Guthrie at Spitalfields Summer Festival 2014. Tom's ground-breaking Death Actually will be as touching as it is bawdy, and above is a taste of it from Barokkilistene. The Brabant Ensemble broadcast live from Chirk Castle with BBC Radio 3 as part of Gregynog Festival 2014. Next up, Live on Radio 3 from Gregynog Festival, is the BBC National Orchestra of Wales at the end of the month. Launching Wardsbrook Concerts 2014 with Toby Spence in London W1. The Society of Strange and Ancient Instruments' next project, Nine Daies Wonder, explores an outrageous Elizabethan publicity stunt carried out by actor, dancer and clown, Will Kemp, in the year 1600. The Society presents extraordinary instruments, plaintive songs, exuberant dancing, elegant instrumental music, outrageous ballads, wild country dances and a filthy jig in the spirit of Will Kemp's epic journey. Touring 2014/15. I'm very excited to be working on this. I am delighted to have taken on Mid Wales Opera for its 25th Anniversary Year. The company will be staging two major productions in 2014 - Handel's Acis & Galatea with Rachel Podger and Brecon Baroque and Carmen, directed by Dr Jonathan Miller.